Our multi tank ultrasonic cleaning systems combined with the hot air dryer can be used as an effective part cleaning line by housing heated cleaning solution, cascading DI rinse water, and a final cascading DI rinse water with a final hot air dry step. The process would move from left to right: the parts would be cleaned, rinsed, rinsed and then dried. 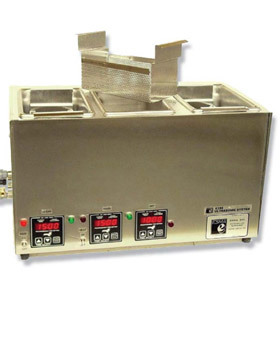 The small 5 quart wash-rinse-dry ultrasonic console is perfect for cellular manufacturing parts cleaning and placement next to machining centers. The ultrasonic cleaner tank can be optionally equipped with pump filter systems which provide 5 micron filtration of the alkaline cleaning passivation solution. The common configuration shown is 3.5 gallon tanks, but any size tanks can be used in similar configuration use. 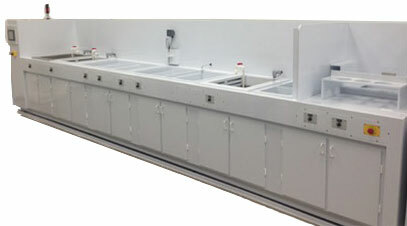 The 188 9 gallon tabletop ultrasonic wash, rinse and dry system is perfect for multistage part washing processes which require wash filtration, cascade overflow rinse and heated parts drying. 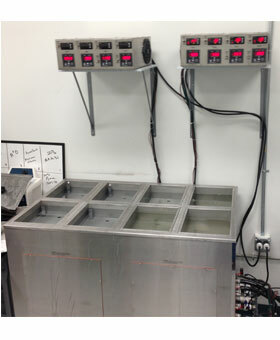 This ultrasonic cleaning system is offered in a console unit in the 1.25 and 3.5 gallon models. 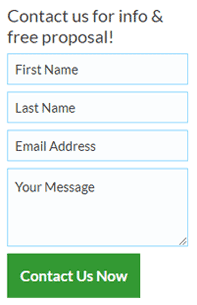 We can easily make any tank configuration sizing required for your application with little to no additional custom size pricing.